One of the three infants who survived childhood cancer is at risk of becoming infertile due to chemotherapy or radiation, and because their sperm or eggs have not matured, assisted reproduction using these sperm or eggs is not optional when they become adults. 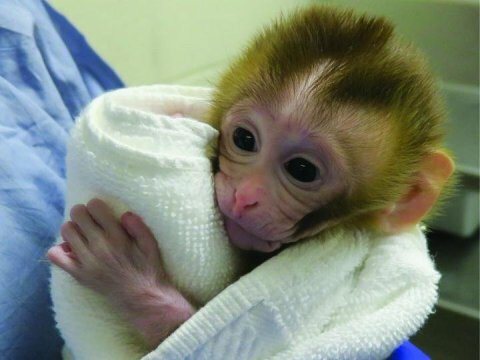 Now in the lead first, scientists from the University of Pittsburgh School of Medicine and the Magee-Womens Research Institute (MWRI) have reported in a non-human primate model that immature testicular tissue can be cryopreserved and later used to restore the fertility of the same animal. Advance, reported in Science, is a milestone in the development of next-generation assisted reproduction therapies and offers the hope of maintaining fertility in prepubertal boys who are about to undergo cancer treatment. "We grew up in our families alone, and I think many of us dreamed of growing up and having their own families," said lead author Kyle Orwig, Ph.D., Professor of Obstetrics, Gynecology and Reproductive Sciences at Pittov school. doctor and MWRI investigator. "This is an important step towards making young cancer patients a chance to have a family in the future." Boys are not born with mature sperm. Hormonal changes during puberty tend to increase testosterone, which activates stem cells in the testes and begins to produce sperm. In prepubertal boys, chemotherapy, radiation, or other treatments can kill these stem cells and cause lasting infertility. "Previous research in primates has shown that sperm can be produced from autologous frozen prepubertal testicular tissue transplants, but the ability to produce healthy live offspring – the gold standard of any reproductive technology – has not yet been achieved," Adetunji Fayomi, Ph.D. , a former graduate student at the Orwig Laboratory and a postdoc scholar at Pitt. In the current study, Orwig and his team developed a human primate model for non-human cancer survival. Before chemotherapy treatment, researchers cryopreserved immature testicular tissue. They later thawed and transplanted pieces of tissue under the skin of the same animal. Eight to twelve months later, after the animals entered puberty, the scientists removed the grafts and found that a large number of sperm were present. They sent sperm to their Oregon National Primate Research Center at Oregon Medical and Science University, who were able to generate viable embryos that were then transferred to female recipients. In April 2018, one of the females gave birth to a healthy girl, which Orwig named "Grady" – a portrait of "grafts" and "baby". "With Grady's birth, we were able to demonstrate the principle that we can pre-conserve testicular tissue cryopreserve and later use it to restore fertility as an adult," Fayomi said. The authors report that they used a different cryopreservation protocol compared to previous work and grafted larger pieces of testicular tissue, which could contribute to the success of the current effort. In preparation for a clinical translation, Orwig founded the Fertility Protection Program at UPMC Magee-Womens in 2010. The program offers child cancer patients the ability to cryopreserve testicular or ovarian tissue prior to cancer treatment. Since then, it has expanded through collaboration with centers around the world. Orwig hopes that if these patients grow up and want their own families, they will have this possibility. "The reason we conducted these studies on a non-human primate is that we thought it was the last step on the way to translating to the clinic," Orwig said. "After making a live-born and healthy baby, we feel that it is a technology that is ready for testing at the clinic."